Ideally located in a modern development with concierge, this well-presented one bedroom flat offers open-plan living/entertaining space with fantastic views overlooking Regent's Canal. 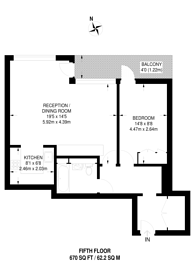 Graham Street offers excellent transport links from nearby Angel and Old Street stations. City Road and Upper street are both within close proximity offering a fantastic array of shops, bars, boutiques and restaurants.